St Ailbes has a proud tradition down through the years of producing strong competitive basketball teams within the school. Teams compete at various grades such as, 1st & 2nd year, U16 and U19 teams all representing the school with distinction in their various competitions. 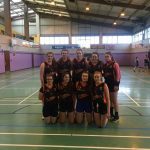 This 2017/2018 season was no different with St Ailbes entering two strong teams at U16 and U19 level with both teams representing the school in the South-East region. 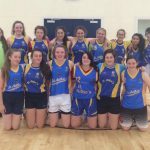 Our U16 team displayed great heart and determination to reach the south east Quarter Final where they were defeated by a strong Ardscoil na Mara team in Tramore. 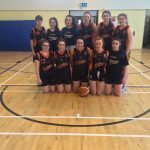 Our U19 team were bitterly disappointed to lose out in the South-East semi-final to a narrow defeat to Presentation Wexford. The girls on the team showed great commitment, heart and dedication to balance their training schedule and their studies. Some of these players played their final game for the school, they have represented the school with honour and distinction throughout their time playing with St Ailbes and we wish them every success in their future endeavours both on and off the basketball court. 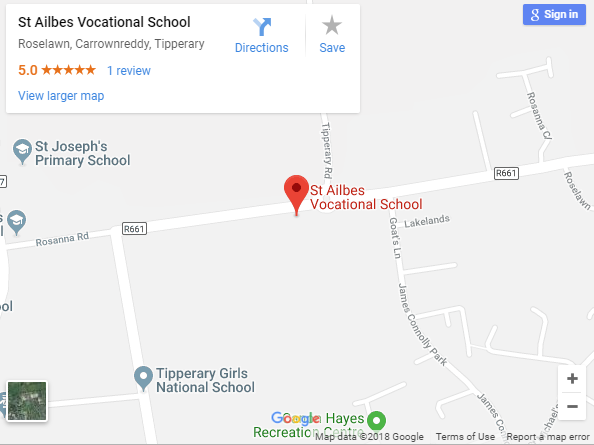 The foundations for future St Ailbes basketball teams remain as strong as ever with two 1st year teams entered competitions and a competitive 2nd year team. All these teams have enjoyed competitive games against various teams within the Tipperary region. These girls have shown great commitment to train and learn and are future stars of St Ailbes basketball teams. 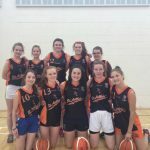 These teams are managed and coached by Ms. H. Kennedy, Ms. S. Casey and past pupil of St Ailbes and Tipperary Tornadoes basketball team star player Ms. Stephanie Walsh.